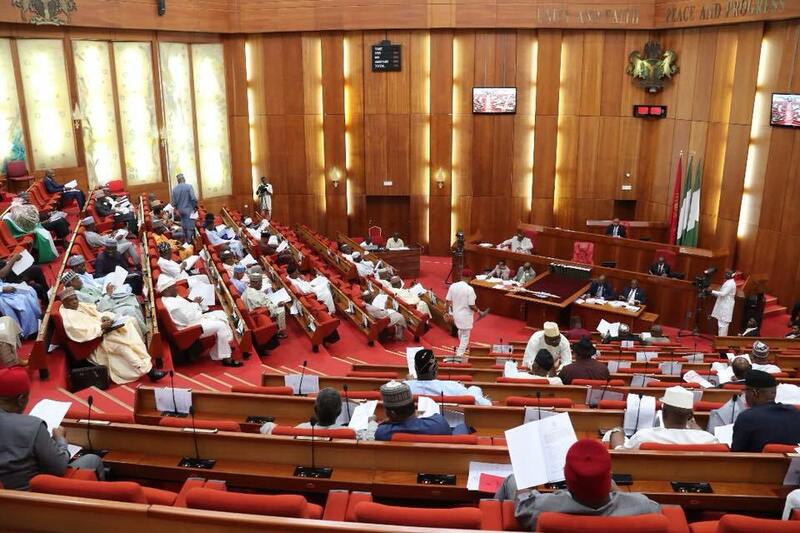 Senate Tuesday, resolved to probe the Nigerian National Petroleum Corporation, NNPC over unaccounted whooping sum of $3.8 billion dollars allegedly shrouded in secrecy. The upper chamber also set up an ad-hoc committee chaired by the Senate leader, Ahmed Lawan to work within the week and come back to the Senate for the next legislative action. This resolution followed a point of order raised by senator Biodun Olujimi representing Ekiti South senatorial district. In her presentation, Olujimi who doubles as the Senate minority leader said, “Right now, the fund is being managed quietly without appropriation of any known law. Nobody is talking about us – Nigeria, paying subsidy. “But we know that subsidy is being paid in one form or another but being covered in recovery rather than subsidy. ”It was also gathered that this slush fund has long been in the custody of the NNPC management without being coached well before the public. “So, the NNPC management should come to explain what the money has been used for and whether or not it has been used in paying subsidy”. She further affirmed that, ” What happened is that rather than the executive talking about subsidy, they talk about subsidy recovery. That means that they were going to end subsidy and pay people to stop subsidy. But the fund is not appropriated. Is just a lump sum within the management of NNPC. She said there was a need for the Senate to call everybody involved, “So that we can sit down together and ask questions – How are you managing this fund, what have you been using this fund for, have you being subsidising? “This is because reports say that we have been subsidising. And right now the subsidy level is so high that if it is added to what we had, pump price will be N210 per litre. “And this is being done behind the scenes. It shouldn’t be so. This is because it is money belonging to Nigerians and, it must be appropriated”. Olujimi even recalled that when the 2018 budget was passed, the Senate President on his final remarks said, “That the National Assembly is expecting the executive to present a budget of subsidy because it is happening. “It is just that it is shrouded in secrecy. And that they should present a proper budget so that we can all know that subsidy is still on even if it is at a lower level. But nobody should be lied to by saying there is no subsidy” she quoted Saraki. When asked if other stakeholders were also involved, she said, “It is only NNPC that is involved because it is a downstream issue. “NNPC should be able to come to NASS and say, yes, this is what it is. This is what we have been doing. We can’t afford to be transparent about it. Are you paying subsidy? Yes or No. “What is the recovery about? Because it is like a slush fund. You are not couching it well and, you now make it look like a good money when it is really a bad money. “What is it being used for? How is it being used? Are we really paying subsidy? This is because the executive does not want us to know that we are still paying subsidy.